Contact us at info@richmondbonsaisociety.org or visit us at www.richmondbonsaisociety.org or on Facebook. Bonsai information, common questions and answers, monthly growing advice, and bonsai links can be found here. RBS 2017 dues are $25 per person or $30 per family, which includes PBA membership. Checks should be made out to RBS and can be paid at a meeting or mailed to our treasurer (email us for address). First off, let me apologize for not getting a newsletter out for May. It was busy month. I hope all are well. I had a great time at the World Bonsai Day festival at the National Arboretum. We also had a great picnic and lecture, as well as a demonstration at the ACCOV Asian American Celebration. Plus work has been, well… end of the school year has been busy as usual. It has been a really nice spring weather wise. As summer approaches, be sure to adjust your feeding and watering. There are monthly tips on our web page. Now – Oct. 1 Exhibit: The Bonsai Saga: How 53 Japanese Bonsai Came to America, National Arboretum, D.C.
We had a display in the entrance to the festival and met many new friends who we hope to see soon. We had a great time. The weather was perfect and there were lots of good items for sale and good food to eat! RBS has the Community Room reserved at St. Mary’s Woods on Saturday, June 19, from 10 to 4 for member workday. Members are invited to bring plants that they want to work on, get help or advice with, along with tools, wire, and anything needed to clean up your space. If you cannot arrive until after noon, it is advisable to call or message Thomas or someone else going to see how late they will stay. We have the space until 4, but often finish up about 2 pm. If you plan to attend please email or contact Thomas. We will meet for a Bring Your Own Tree workshop at our normal time and place, 7 pm, Community Room at St. Mary’s Woods. Members should bring their own trees, tools, wire, and anything needed to clean up. Sean Smith of Empire Bonsai will be visiting Richmond Bonsai Society on July 14th and 15th. On Friday, July 14th, Sean will conduct a lecture and demonstration on a yew which will be auctioned off to a club members. This will be at our normal time and location, St, Mary’s Woods Community Room, 7pm. Sean will also have material (trees) for sale at the meeting. Also, this will take the place of our normal monthly meeting. On Saturday, July 15th, Sean will do 2 very unique workshops. 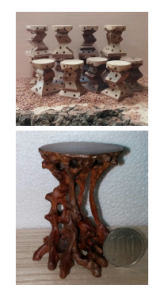 The morning workshop (9-12) will be a Cascade Stand Root Carving workshop and the afternoon workshop (1-4) will be a Stone Diaza (stand) carving workshop. All RBS members are welcome to participate, or can even just come to quietly observe, but participant numbers are limited, as are materials. Each workshop will cost $100. Please only register if you are committed. We will contact you soon to secure payments in advance. When the workshops are full, you can sign up as an alternate and we will go from there. Do NOT register if you only intend to observe. For both workshop, Sean will provide the materials (wood and finish for morning, and wood and stone for afternoon). Participants must bring an electric (not battery powered) drill, like a Dremel, with wood carving (burr) tips, and an extension cord. You may want a protective mask. 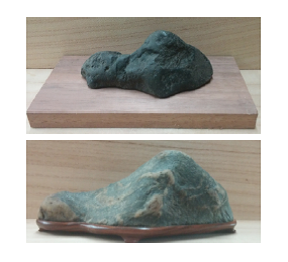 Here are some before and after examples for both workshops. To register for the workshops, please follow this link. 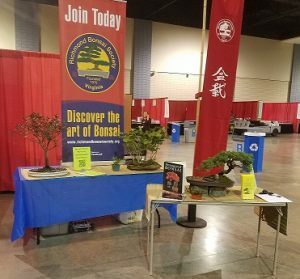 The Potomac Bonsai Association is bring in Andy Smith of Golden Arrow Bonsai for a full day of workshops on October 6th. Andy has a reputation and prefers to work on conifers (pines, junipers, cedars, yews). The workshop is a bring your own tree workshop and we will run a morning and afternoon session with a limited number of participants. RBS and PBA is picking up most of the workshop costs for our members. It will take place at our normal location at St. Mary’s Woods Retirement Center and the sessions will be 9 to noon, and 1 to 4. In addition, Andy sells collected pondersoa pines and will ship them to you this fall. This is a rare opportunity to get these trees, which are very old and collected from the mountains. You can see examples here. HOWEVER, the RBS Board wants to warn members to thoroughly investigate the condition of these trees before you purchase. In particular, we advise against purchasing a tree that was collected within a few months of being sold, shipped, or worked on. Generally, you want collected trees to condition for a full year or more, and be sure that they are healthy and growing before doing anything else with them. You can sign up for his workshops here. I had the opportunity in mid-April to visit D&L Bonsai Nursery in Ocklawaha, Florida which is in the Ocala National Forest. The nursery is over 30 years old and is owned by David and Linda VanBuskirk. When we arrived, we were greeted by one of the assistants at the nursery who welcomed us and gladly stopped what he was doing to show us around. They had just moved many of their less-hardy trees outside but there were many still in the greenhouse which sits in the middle of the property. The nursery offers pre-bonsai and bonsai material, Joshua Roth tools, pots, wire and soil. There was a wide variety of trees for sale. I was torn between a bald cypress and a Brazilian rain tree. I eventually decided on the rain tree (after my wife told me she thought it was much more attractive than the cypress). The prices at D&L Nursery are very reasonable. 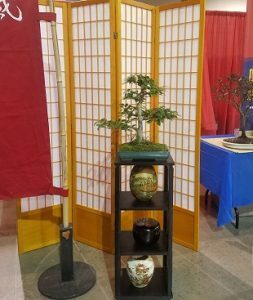 Most of the pre-bonsai material that I saw was between $25 and $75 each.While browsing, we were also greeted by co-owner Linda VanBuskirk who showed us some of her personal show-quality trees that are not for sale. There was one amazing two-foot tall black olive tree which Linda was especially fond of. My wife commented on how friendly everyone was and we were definitely made to feel welcome. Linda and her husband David offer monthly workshops and private sessions by appointment. There is a monthly newsletter on their website bonsai@dlnursery.com which offers tips on specific species of trees. You can also call David or Linda at (352) 625-2681 or e-mail them at bonsai@dlnursery.com if you have questions. If you are ever in the central Florida area, I highly recommend looking them up and planning a visit. The address is 6550 S.E. 153rd Court, Ocklawaha, Florida, 32179. Donate a Book or Magazine: RBS maintains a lending library available to members. The lending selection includes many magazines, books, and some videos. If you have books or magazines that you no longer enjoy, please donate them to the club. Mixed Bonsai Soil -regular and shohin soil (fine) 5 gal bags. Call Lee (804-869-1257) to place a special order.